The theme of Issue No. 2 is Magic, which conjures feelings of wonder, delight, dread, and disbelief. Submit ideas before January 1, 2015 to be considered for Issue No. 2, Magic, or year-round for upcoming issues. The theme does not need to be explicit (or even evident) in submitted work. 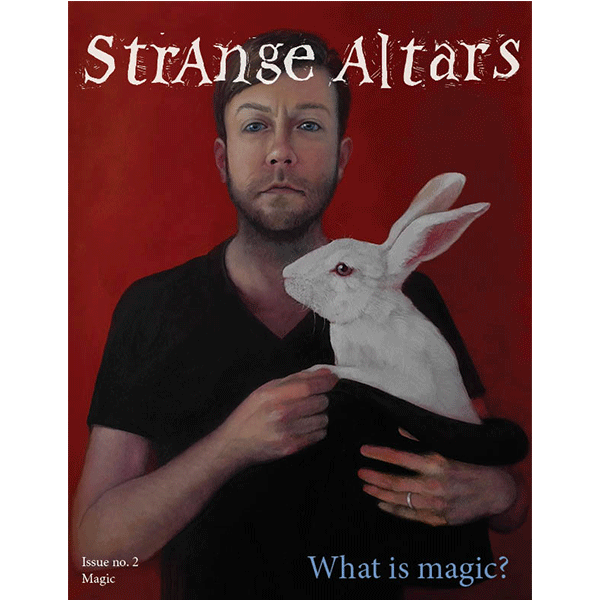 Strange Altars is a semi-annual zine that re-imagines what it is to experience creative work shared by others. Writing that you can hear, pages that you can taste, animation that you can hold. A vessel for beautifully presented storytelling. A ‘story’ can be poetry, a memoir, technical instruction, social examination, photography, painting, sculpture, film, video, audio, animation, comics, fragrances, flavors, physical objects or anything beyond.